On January 21, Federal President of the Federative Republic of Germany Frank-Walter Steinmeier met the President of the Republic of Uzbekistan Shavkat Mirziyoyev at Bellevue Palace. The President of Uzbekistan signed the Book of Honored Guests. An official meeting of the President of Uzbekistan took place. An honor guard was lined up in honor of the distinguished guest. National anthems of Uzbekistan and Germany have sounded. The Presidents passed the honor guard. At the beginning of the negotiations, Shavkat Mirziyoyev congratulated Frank-Walter Steinmeier on the 70th Anniversary of the Federal Republic of Germany, which will be celebrated this May. The meeting of President Shavkat Mirziyoyev and Federal President Frank-Walter Steinmeier took place at Bellevue Palace. At the meeting, the parties discussed issues of further deepening political dialogue and mutually beneficial cooperation on bilateral and multilateral basis on a wide range of issues of mutual interest. The desire to continue mutual support within the framework of the United Nations, the Organization for Security and Co-operation in Europe and other authoritative international structures was confirmed. Presidents reaffirmed the importance of strengthening relations based on implementation of the new EU Strategy for Central Asia, which is being developed on Berlin’s initiative. The President of Uzbekistan proposed to establish a dialogue in “Central Asia + Germany” format. It was noted that attracting advanced German experience and technologies is of particular importance in the process of radical modernization of Uzbekistan’s economy. As reported by the Press Service of the President of the Republic of Uzbekistan, cooperation in cultural-humanitarian field was also discussed. The perspectives of using effective German pedagogical technologies in school education, including implementation of “Schools: Partners of the Future” (PASCH) initiative, as well as opening German universities’ branches in Uzbekistan and deepening cultural ties between people of the two countries were noted. In conclusion, President Shavkat Mirziyoyev invited Frank-Walter Steinmeier to pay a return visit to Uzbekistan. The Federal President expressed his readiness to visit Uzbekistan in spring this year. Before the negotiations between the President of the Republic of Uzbekistan Shavkat Mirziyoyev and Federal Chancellor of Germany Angela Merkel, a briefing was held for mass media representatives. Angela Merkel noted that this visit of the President of Uzbekistan after a long break is important and will give a powerful impetus to development of bilateral cooperation. – We want to be a reliable partner of Uzbekistan. We see many opportunities for expanding cooperation between our countries, – the Federal Chancellor said. Shavkat Mirziyoyev expressed deep gratitude for high attention paid to the delegation of Uzbekistan and congratulated everyone on the 70th Anniversary of the Federal Republic of Germany, which will be celebrated in May this year. The sides expressed satisfaction with the rapidly developing bilateral relations in recent years, enriching them with new content, intensifying political dialogue. The President emphasized that Uzbekistan intends to bring relations with Germany to a qualitatively new, higher level. The negotiation agenda includes the state and prospects for interaction in politics and security, trade, technologies and innovation, investments, education and culture. Interest was noted in further close cooperation within the framework of the United Nations, the Organization for Security and Co-operation in Europe and other international structures. It was emphasized that the new Strategy of the European Union for Central Asia will serve to strengthening bilateral cooperation. It was announced that at the meeting of the President of Uzbekistan and the Federal Chancellor of Germany, special attention will be paid to strengthening cooperation in the fight against challenges and threats, primarily such as terrorism and extremism. The key issue is the early launch of the peace process in Afghanistan. Uzbekistan is open to a constructive dialogue in the field of ensuring human rights and freedoms, as well as cooperation in order to achieve transparency in the public administration system and the complete eradication of corruption in Uzbekistan. The parties expressed their willingness to expand investment and technology cooperation. It was noted that on the eve of the visit of the President of Uzbekistan, a business forum was successfully held, following which agreements were reached on implementation of new projects worth over 8 billion euros, activities continue on other agreements. The great potential of interaction in the field of secondary, vocational and higher education, expansion of schools’ network with in-depth study of the German language, development of cooperation with leading German universities was also noted. On January 21, the President of the Republic of Uzbekistan Shavkat Mirziyoyev held negotiations with the Federal Chancellor of Germany Angela Merkel. At the meeting, the President of Uzbekistan thanked the Chancellor for the invitation and warm hospitality extended to Uzbekistan delegation. It was emphasized that in Germany, Uzbekistan sees a reliable and time-tested partner. The similarity and closeness of positions on key issues of international and regional agenda was noted. The mutual desire was expressed to continue a fruitful dialogue in bilateral and multilateral formats, including within the framework of authoritative international organizations. The Chancellor highly appreciated the reforms carried out under the leadership of the President of Uzbekistan, aimed at a radical modernization of the national economy and further democratization of society. She welcomed the new regional policy of Uzbekistan on creating in Central Asia the atmosphere of friendship and mutual trust, peaceful resolution of perennial disputes and integration of the region into the global economy. The parties also considered issues of protection of human rights, as well as environmental protection. The Head of the state thanked the Government of Germany for the assistance in overcoming negative consequences of the Aral Sea disaster, calling for active participation of Berlin in activities of multi-partner Trust Fund for the Aral Sea region. Security cooperation, including taking into account the Afghan problem was considered at the meeting. Necessity of its peaceful settlement with participation of all parties to the conflict and under the leadership of the Afghans themselves was emphasized. Main attention at the meeting was paid to the issues of development of trade-economic, investment and technological cooperation. Shavkat Mirziyoyev noted that Uzbekistan sees in Germany, which is a world power with a huge economic potential, one of the key partners in technology and investment. The parties, noting the dynamic expansion of bilateral trade, which amounted to more than 700 million euros, emphasized the presence of all the possibilities for growth of this indicator to 1 billion euros. 132 enterprises with participation of investors from Germany are operating in Uzbekistan, including 33 enterprises with 100% German capital, representative offices of 31 companies. The National Bank of Uzbekistan has established correspondent cooperation with 57 German banks. Deutsche Bank’s branch operates in Tashkent. It was noted with particular satisfaction that during the visit, agreements were reached on implementation of new multi-billion-dollar projects in partnership with Germany’s world-class companies: Siemens, Thyssen Krupp, Klaas, MAN, Knauf, Linde, Pappenburg, Humana, Volkswagen – leading in chemical, construction, energy, metallurgical and food industries. The importance of developing cooperation in science and education, expanding cultural ties and tourist exchanges was emphasized. It was noted that more than 8 thousand ethnic Germans live in Uzbekistan. Conditions for development of their national culture and traditions are created. There are over 400 thousand students in the country who are learning German. Recently, schools in Tashkent, Samarkand and Bukhara were named after great scientists and thinkers of German culture. Activities of the Goethe-Institute in Tashkent, representative offices of the Konrad Adenauer and Friedrich Ebert foundations, the German Academic Exchange Service, and other German non-governmental organizations contribute to strengthening cultural-humanitarian ties. Vidergeburt German cultural center operates in Tashkent and several regions, as well as Uzbekistan – Germany friendship society. Uzbekistan has introduced a visa-free regime for German citizens arriving for up to 30 days. 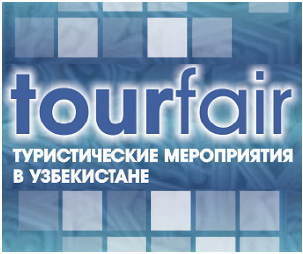 This will create additional amenities for German tourists and investors who are showing interest in Uzbekistan. During the visit, 9 intergovernmental and interdepartmental documents were signed in the spheres of economy, trade, finance, education, science and innovations. Following the meeting, the parties confirmed their mutual interest in further developing and deepening bilateral relations for the benefit of the two countries and people. On January 21, the President of the Republic of Uzbekistan Shavkat Mirziyoyev met with Bundestag President of the Federal Republic of Germany Wolfgang Schäuble. The Bundestag is a unicameral parliament of Germany, the most important functions of which, apart from adopting laws, are to elect the Federal Chancellor and control activities of the government. Close relations are maintained between the parliaments of Uzbekistan and Germany. Uzbekistan – Germany group for cooperation with the Bundestag operates in the Legislative Chamber of the Oliy Majlis, and the FRG – Central Asia group operates in the Bundestag. The Head of the state noted the important role of parliaments of the two countries in the legal support of Uzbekistan – Germany cooperation, promoting the interests of people. In turn, the Chairman of the Bundestag highly appreciated the reforms being carried out in Uzbekistan, aimed at building a stable democratic state and a strong civil society. As reported by the Press Service of the President of the Republic of Uzbekistan, at the meeting, issues of exchange of experience in ensuring the rule of law, implementation of parliamentary control, improving the efficiency of social and economic transformations were discussed. The importance of inter-parliamentary cooperation within the framework of the roadmaps, which will be adopted in the future for implementation of agreements in trade-economic and investment spheres reached during this visit, was noted. It was emphasized that negotiations held during the official visit of the President of Uzbekistan to Germany identified new areas of cooperation at all levels, including between the parliaments of the two countries. President Shavkat Mirziyoyev departed for the city of Munich, where on January 22 meetings with the Minister President of Bavaria Markus Söder and heads of leading German companies and banks are scheduled.